This is my 5th time as a guest participant (wow, time flies) and the space that I’m revamping this time around is our downstairs bathroom! 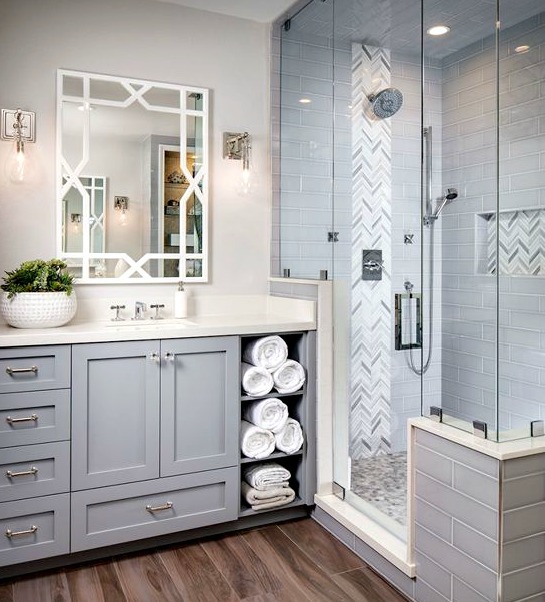 Some would call this a guest bathroom but let’s be real …. When there’s only 2 bathrooms in the house (4 person family), each and every bathroom in the house is a main bath! This makeover is a little different from some of my previous makeovers. The “Before” pictures aren’t as embarrassing terrible. We had both our bathrooms in our home remodeled 7 years ago. 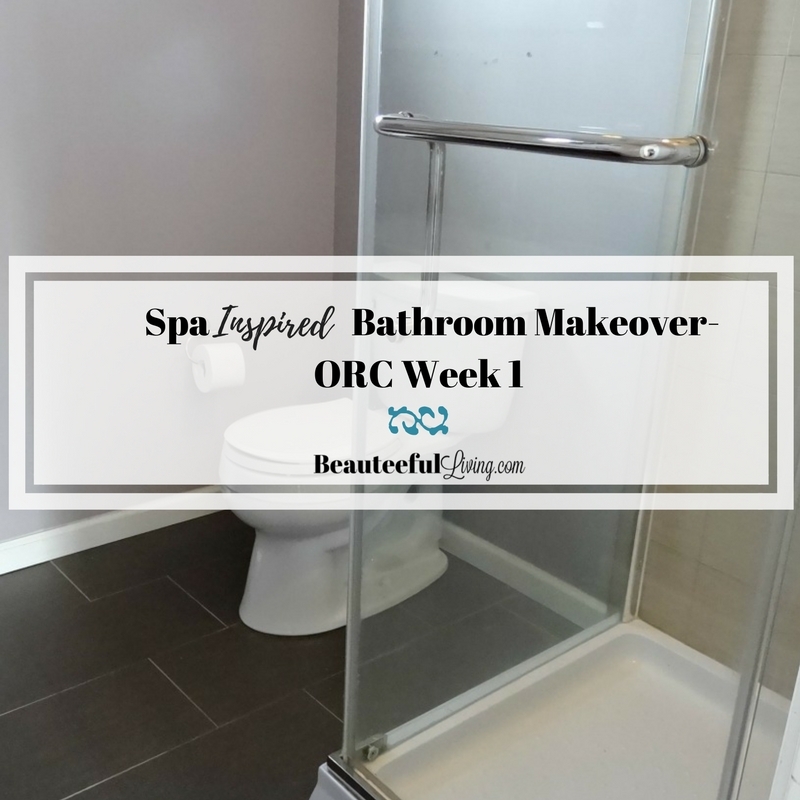 With this ORC makeover, my 2 main goals are to make this a more functional bathroom with added storage and having it look like the “SPA” retreat I’ve always loved. Let’s see the “current state of affairs” shall we? I’m so thrilled to be partnering with American Standard for this bathroom makeover. I’m confident that this toilet situation will be solved. I cannot wait to replace our old toilet with a much more efficient toilet from American Standard. 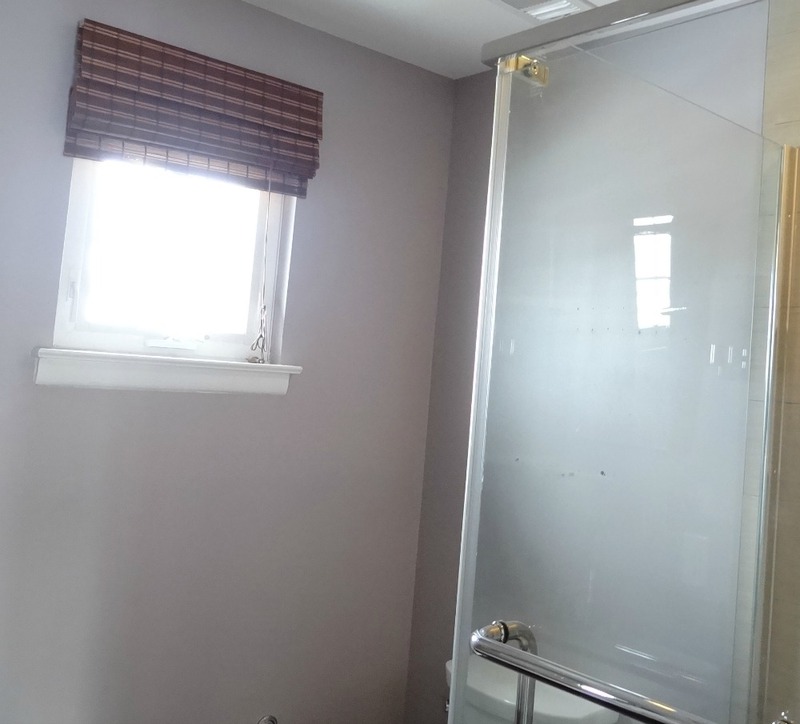 I still love our glass shower enclosure and the linen-looking type of tiles in the shower. The only thing I need to do here is to replace the fixed shower head with a hand held one. It’s just more versatile with a hand held shower head. I can shower our dog here instead of only upstairs. Recently I removed the 3 wall shelves we had above our toilet. They didn’t hold much and you couldn’t put anything heavier than a wax candle jar on the shelves. As you can see from below photo, this area above toilet is extremely bare. 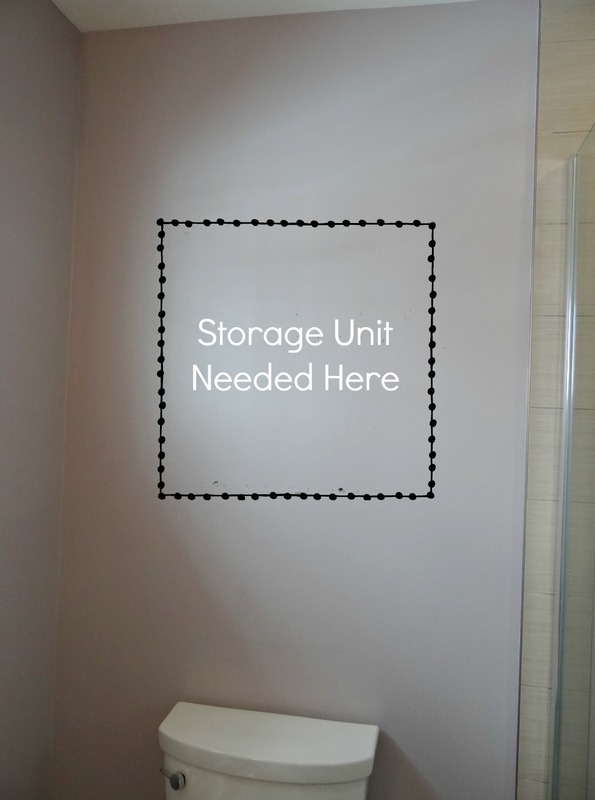 Ideally, I’d like to install a wall unit above the toilet for extra storage. 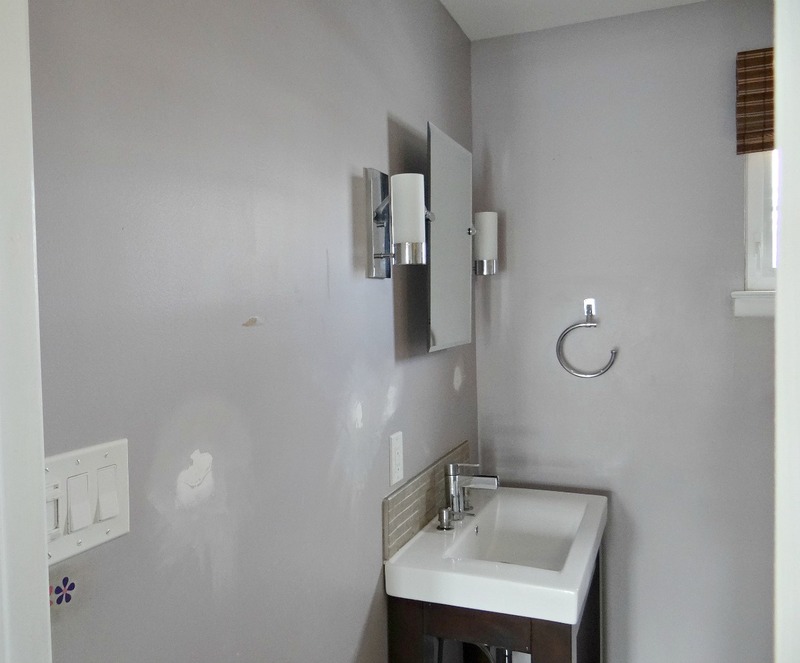 Now … the bathroom vanity area. Notice the spackled areas below the mirror? We used to have a glass shelf there before it came undone almost a year ago. We had some decorative signs to cover those holes prior to spackling this area. I’m not sure if I’d put another glass shelf in that spot. 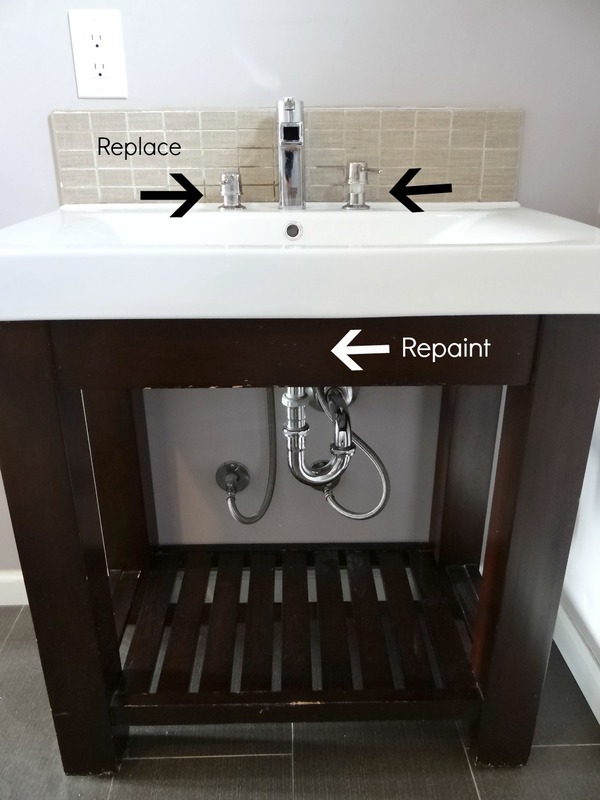 In addition to replacing the bottle pumps in our vanity area, I’ll also need to repaint this vanity fixture. You can see from photo how the paint is chipping in various areas. I’d like to go with a lighter paint color than the current mahogany shade. 11. Install wall ledges for plants. 13. 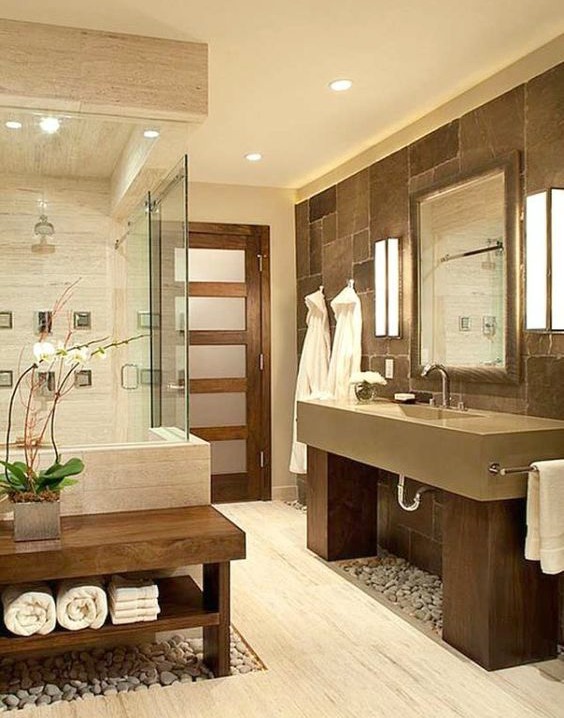 Style Modern Spa-themed bathroom. My favorite part! A very big thank you to American Standard for being a sponsor of my spring 2018 guest participation in the One Room Challenge! I cannot wait to share the exciting products that I’ll be featuring in this makeover! Have a comment or suggestion for this makeover? Please leave in comments below. 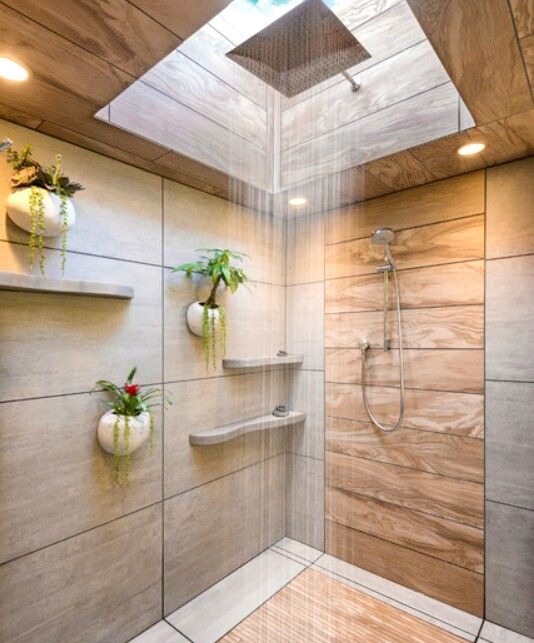 A spa inspired bathroom is so beautiful! I love the idea of having such a relaxing room at home! I’m so excited for this makeover, Tee! You always do such a beautiful job and your inspiration photos are amazing! I love that first inspiration pic! The greys are so soothing. Always reminds me of that spa feel. 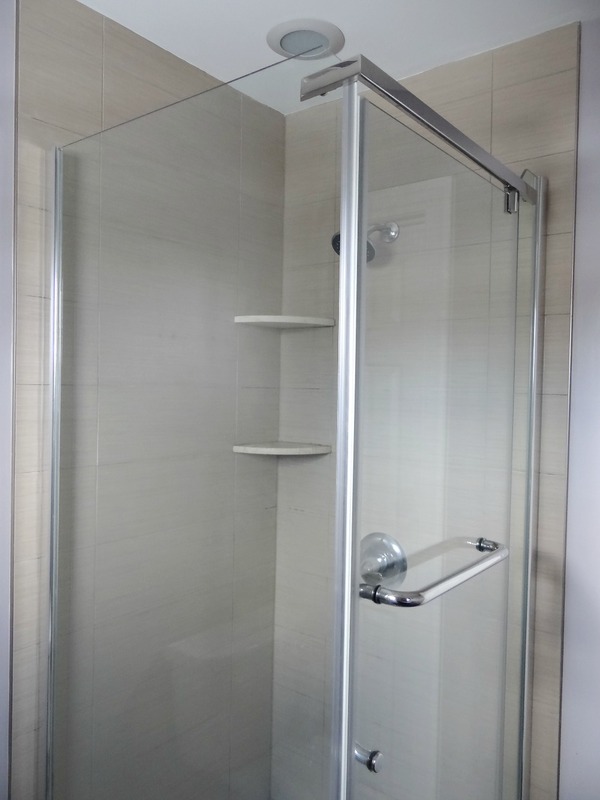 Excited to see your bathroom come together! Beautiful inspiration images!!! I have no doubt the space will turn out beautifully! Love that you’re participating in the ORC once again! 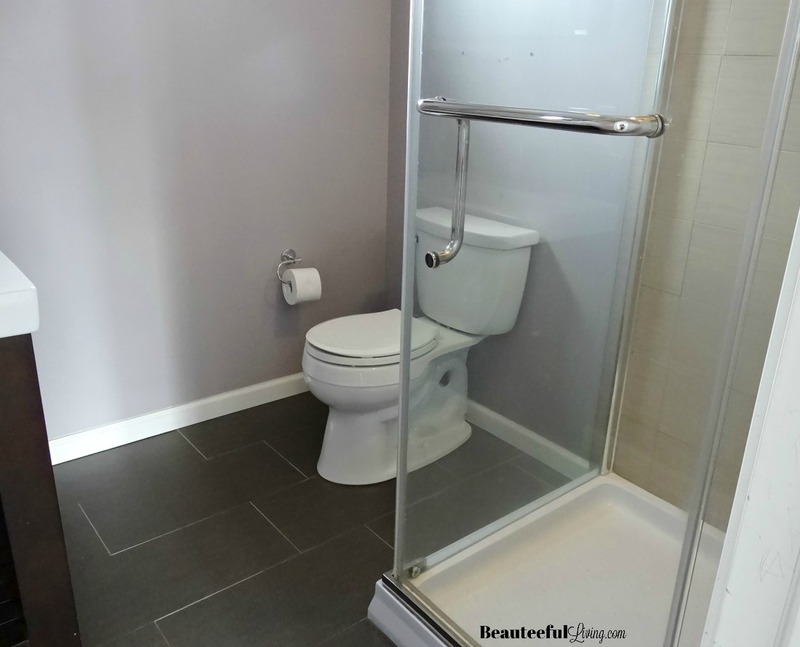 You have a great starting point with this bathroom. Looking forward to seeing the makeover. You shared such beautiful inspiration! Tee, this is going to be SO great! I love all of your ideas and inspiration photos! I’m looking forward to seeing how your spa bathroom turns out! It sounds wonderful! Tee your plan sounds so great! 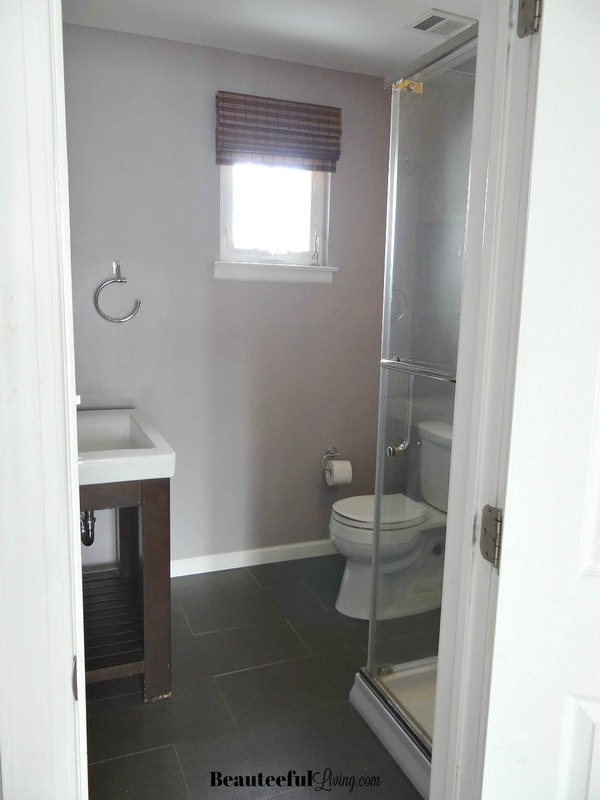 Can’t wait to see what you do in here, I have 2 more bathrooms to renovate eventually! Thanks so much, Lisa! Bathrooms are so important. Definitely good to brainstorm it through before renovating. Thanks for following along :). Your inspiration photos are beautiful and I can’t wait to follow along and watch the before become your spa bathroom dream! I love a good bathroom makeover! I’ve been wishing I could do something with my own, but I just haven’t had the time to sit and come up with a good plan. I can’t wait to follow along with your progress! Thanks so much, Iris! Look forward to following along your project too! 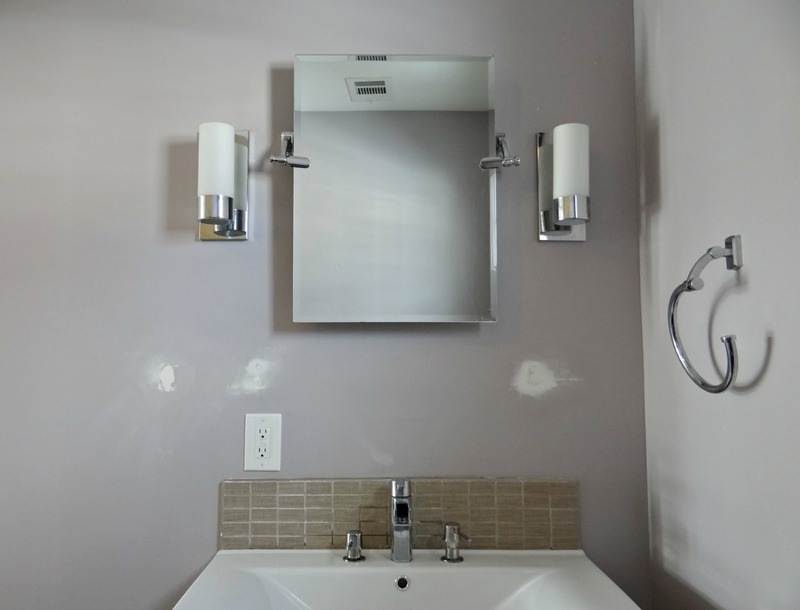 I’m jealous you’re redoing your bathroom – how I wish I was brave enough to tackle mine. I LOVE your first inspirational photo! Tee – this is going to be a fabulous spa! We can’t wait to see your design come to life. Love your mood boards for this room! I know it will look amazing when you’re done! I can’t wait to follow along Tee! 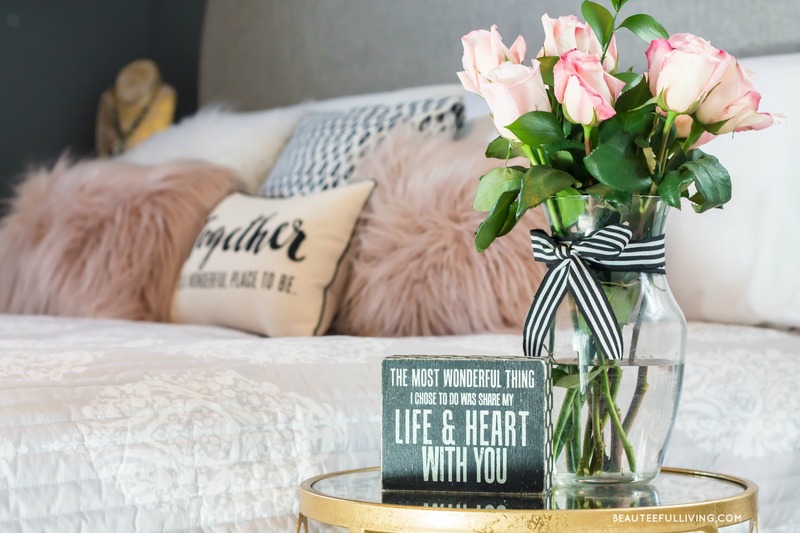 I love what you have planned for this room! It’s going to look great! 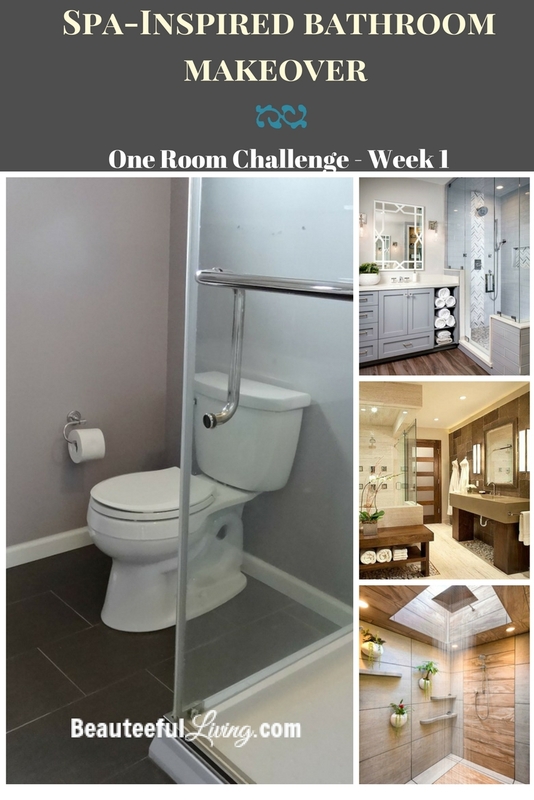 I’m doing a bathroom for the One Room Challenge too! I can’t wait to see how yours turns out! Thanks, Vineta! 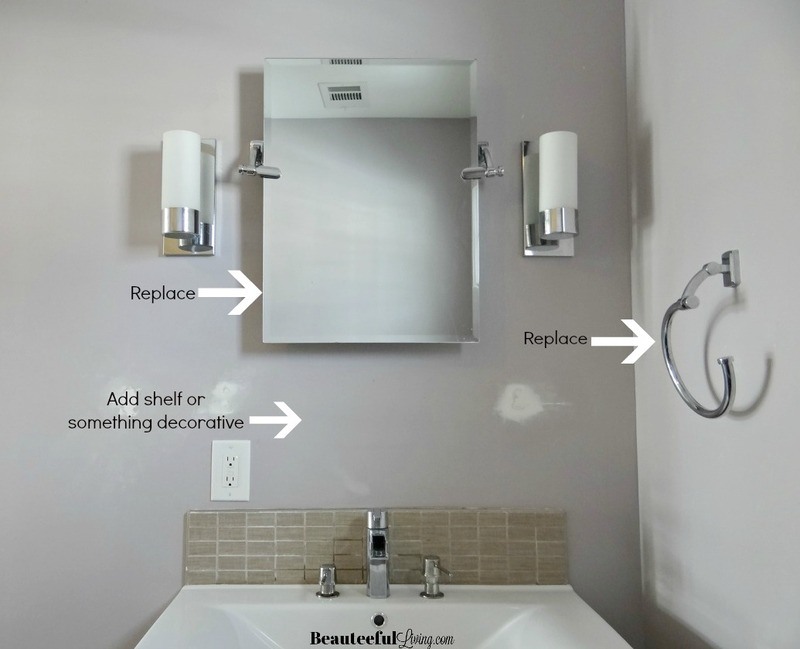 Looking forward to following along your bathroom makeover too! I love your inspiration pics! super excited to see how this comes together. I can’t wait to follow along. I did my bathroom for the last ORC and it was a lot of work- but totally worth it. Good luck! I love your inspiration photos! I am doing our guest bathroom (nobody uses it anymore now that the kids are gone) and I feel ya when the picture from the door is the entire tour, lol!! I can’t wait to follow your progress! Thanks, Susanne! That’s great that you’re doing a guest bathroom too! Good luck!